So we have firmly entered into my favorite time of the year. A chill has made itself known in the air, the days are getting shorter and the nights longer, and those summer shorts are being put in moth balls until next spring. October is here, and it’s brought with it those cool, breezy overcast days. It’s also brought with it the anticipation of Halloween. One of my favorite non-holiday holidays. When I say non-holidays I mean one of those holidays we don’t get off work or school for, but one that is highly regarded by kids and parents alike. Kids because they get to roam neighborhoods dressed as their favorite monster or serial killer and knock on doors, stick out a bag, and get candy. If you’ve got some good walking shoes to go with that Freddy Krueger or Dracula costume, you can make out like an undead bandit. You get to stay up late, gorge yourself on fun-size confections, and watch horror movies till the sugar buzz wears off and you crash like Keith Richards after an all-night bender with Gram Parsons. Now, if Trick-or-Treat night is on a week night, well you’re pretty much SOL pal. You’ve got school tomorrow so the gorging and horror film watching will have to wait. So what’s the great thing about Halloween for parents? Well, if you’re a parent and not a complete loser you enjoy all the same things your kids do as well. The thrill of the candy hunt, the walk through autumnal-colored neighborhoods, the crispness in the evening air, and the viewing of classic horror films with your kids after the evening’s candy haul has been gone through. You also get to help yourself to the chocolate treasures after the kids crash from the binge eating/watching. My kids actually dump all the candy out after getting back from the tricking and treating and go through everything, like thieves checking out the loot. They barter with each other, trading a Kit Kat for a Nestle Crunch Bar; or offer three Dum Dums for one Three Musketeers. They also make a pile named “For Mom and Dad”, which consists of all the crappy hard candy and the occasional chocolate that the kids deem unworthy. Usually these include Butterfingers, Milky Ways, Mr. Goodbars, and anything with a “zag”, “dud”, and/or “malted” anywhere on the packaging. I do believe there’s still a pumpkin bucket in my closet filled with just these things from last year. 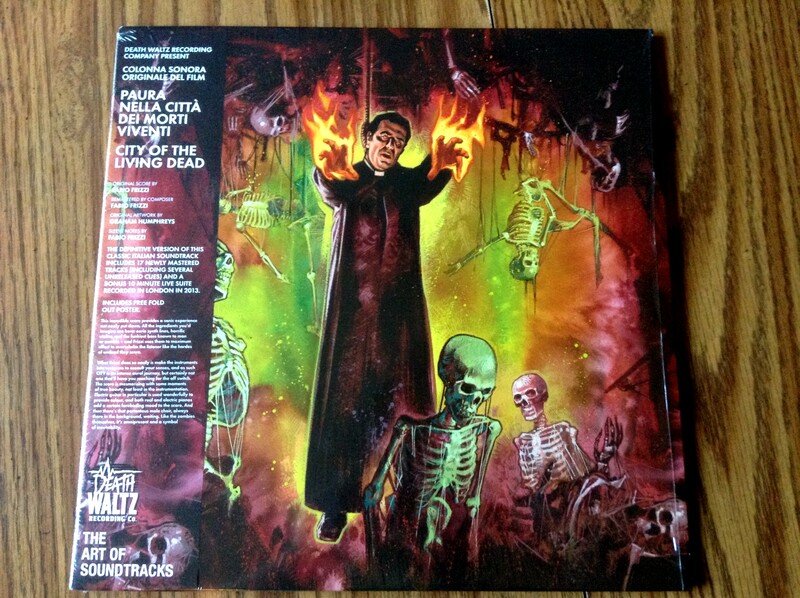 Besides all those other things I mentioned, this time of year is also very exciting for me as I get to spin all my favorite horror soundtracks courtesy of Death Waltz Recording Company and Mondo ad nauseam. Truth be told, I spin those horror scores all year long, as most of them are that good. But once October hits it feels appropriate and I don’t get weird looks from my family for playing them(my son is cool with the all year horror spins.) So here’s a couple I enjoy quite a bit. Lucio Fulci made tons of films during his career as a filmmaker, but his most well-known films were in the horror genre. I personally remember watching City Of The Living Dead when I was 13 years old with a friend who was sleeping over. My mom took us to Video World to rent a movie, so we picked this strange one called The Gates Of Hell. Turns out this was actually City Of The Living Dead by Mr. Lucio Fulci. I remember watching that film and being overwhelmed. It was dubbed, with this weird music playing in the background, and the prints for this film were probably third or fourth generation dubbed, but it still had a very visceral feel. The gore was over the top, like nothing I’d ever seen, and the gothic vibe with the damned priest making eye balls bleed out and guts come out of mouths, well it felt like seeing some experimental snuff film. 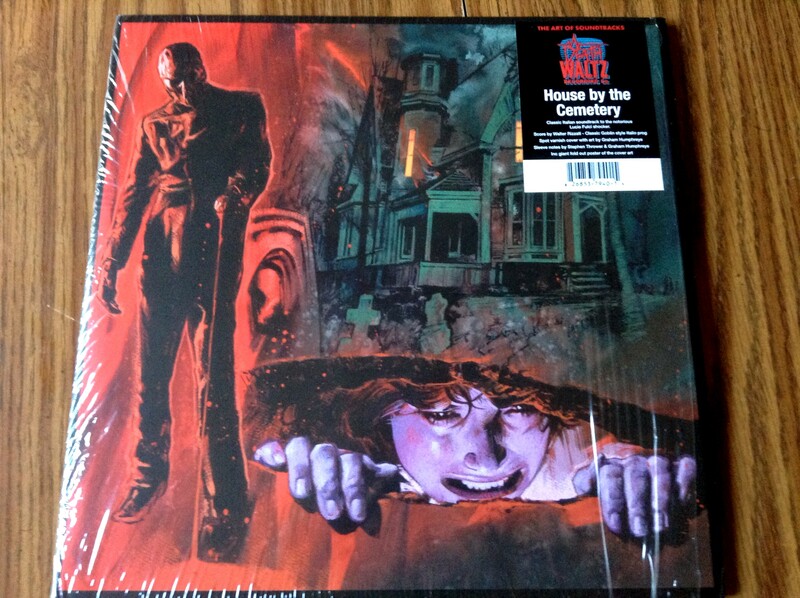 When I began collecting the great horror scores that Death Waltz was putting out a couple years ago I knew I had to have Fabio Frizzi’s excellent City Of The Living Dead. It was a must. Hearing it separate from the film you really do get to hear the genius of the man and his ability to pull emotion out of you. 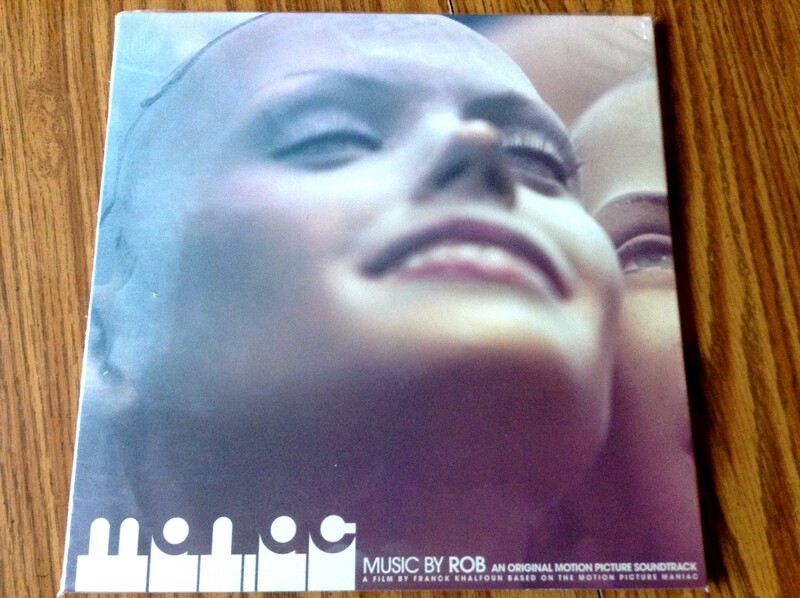 Of course another Lucio Fulci soundtrack was going to pop up on here. House By The Cemetery was one I watched on my own maybe a year after City Of The Living Dead and I can distinctly remember the soundtrack having a very real affect on me. The baroque nature of the synths, the overwhelming malaise of the film, and Walter Rizzati’s ability to evoke this feeling in me long after the film ended stayed with me for years. In fact it’s still with me now. If I had to choose, I’d say this is probably my favorite score, as it was the first one I bought. As soon as I’d heard that this British record label Death Waltz Recording Company were reissuing it I knew I had to have it. I can listen to it to this day and still remember that feeling I had while watching the film as I sat on my mom and dad’s couch in the living room of my childhood home. That’s the sign of a truly great score, and this is truly a great score. William Lustig’s Maniac is the type of movie you line the litter box with. It’s filthy, grimy, hard to watch, and something you find floating in the gutter of some dead end street in New York City. Joe Spinell portrayed a disturbed man so well that you’d swear he was a serial killer in real life. That movie kept my best friend and myself up all night after we watched it, just waiting for some bloody mannequins to come knocking on the front door. A couple of years ago Maniac was remade by director Franck Khalfoun and starred Elijah Wood. I was actually rather impressed with the remake. It did what I never thought possible, and that was give some humanity to a wretched, vile creature like the character of Frank(played by Elijah Wood.) But the best thing about this remake was not the gore or skin-crawling nature of the subject matter, it was the synth score by Rob. This S/T evokes so much melancholy and sadness you almost forget what it’s actually scoring. On its own it’s a great one to listen to, evoking the loneliness of walking neon-lit city streets. This is truly one of the great horror film scores in recent years. 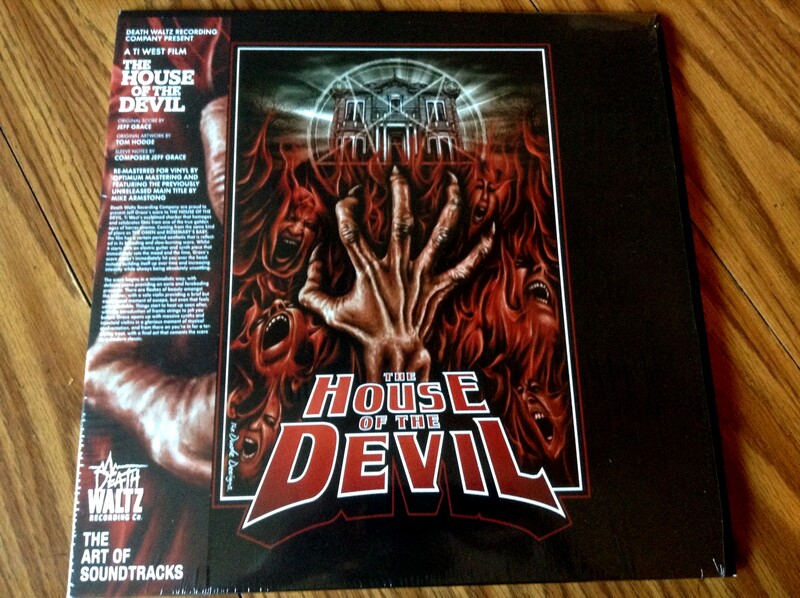 House of the Devil by Ti West is one of the best horror films I’ve seen in recent years. The retro vibe of the filmmaking, the nuanced acting, and the overall creepiness factor made this film a classic on several levels. The score by Jeff Grace evokes both the music of the time(the film takes place in the early 80s) and also of the classic orchestral scores of horror film past. You get a faux rock song(think something along the lines of The Cars’ “Moving In Stereo”), piano-led somber pieces, and some great incidental music with screeching violin strings. It’s all there. I look forward to hearing more from Mr. Grace in the future. I could go on and on, as there are so many great horror/sci fi scores I could wax ecstatic about for another thousand words. In fact, I may just make this part one and cook up another batch for you all to sink your teeth into. So for now, if you haven’t seen any of these films you should seek them out as they are classics of the genre. And if horror’s not your bag, then why are you reading this? Oh, the music. Cool. Then you should seek out these scores. Horror fan or not, you will love them. Wow. I think someone should have a closer look at all that recent digging you’ve been doing in your back yard. They better not…if they know what’s good for ’em! Nice. I do remember The Fat Boys’ and S.O.D.’s “Freddy” tunes. S.O.D.’s Charlie Benante was a big horror/comic book fan, from what I remember. I think I even owned an Anthrax Judge Dredd “I Am The Law” t-shirt in middle school. Now I need to go look up S.O.D. now. Thanks for stopping by!